We're big fans of the Tesco Hudl and Hudl 2. They provided a surprisingly accomplished tablet experience for not very much money at all. But if you haven't already picked one up you might be too late, as the supermarket giant has sold out and has no plans to replenish its stock. In a statement to Engadget it said: "We have sold out of Hudl2 tablets and will no longer be selling it in our stores or online. We would like to assure customers that we will continue to provide technical support and help to all of our customers who have purchased a Hudl." That sounds pretty final and if you're hoping for a Hudl 3 to take its place you're sadly going to be out of luck there too, as just last week the company revealed that it has "no plans" for a Hudl 3. So it seems the range is dead, which in some ways is surprising since we'd have thought it would be popular, but then again the troubled retailer is returning its focus to the core grocery business and tablets don't really fit in with that. 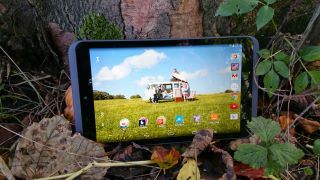 Thankfully if you're still after a cheap tablet there are plenty of other options and we've prepared a handy guide to the best among them. The Amazon Fire 6 HD is even cheaper than the Hudl 2.